This bike might take the cake for catch of the day since it was pulled from the trash!! I'm really confused about what this bike is though. There's clearly an Eddy Merckx decal, but it has been attached over the paint as opposed to under a clear coat. In addition, there are no other indicators that it's really a merckx. (no stamp in any lugs). There is a sticker that says "Produced by Miyata, Japan" and a sticker that says "MX-RRDX-B." It also says "Double Butted ChoMo Chrome Molybden Steel tubes" in a few spots. The seatpost is 26.7. It also has "Professional" written on the chain stays. 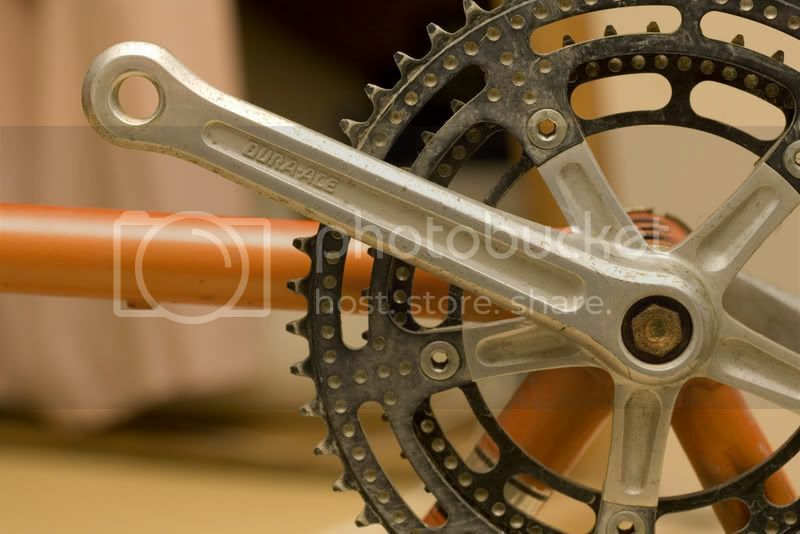 The nice thing is that pretty much everything on the bike is old school dura ace. 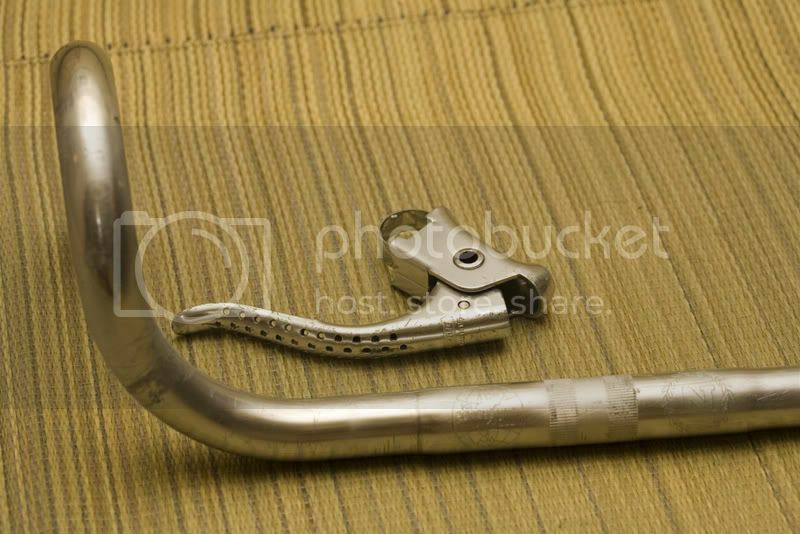 The stem and seatpost are unmarked as I believe the bike predates these dura ace parts (I'm not too sure though). The rear derailleur is a Shimano Crane. The bars are Nitto universaide 104. Aside from being a little dirty, the bike can be restored pretty easily. All the parts are nice and smooth and just need a bit of grease and polishing. Sadly, the dura ace hubs are built up with tubulars, but I'll give them a shot. More pics after I clean things up a bit. I think it's just a Miyata with an Eddy Merckx decal, because it's got vertical dropouts. I don't think those were around yet, and the color is a bit off too, it looks too dark. Definitely not a Merckx, but way better than anything I've ever picked from the trash. 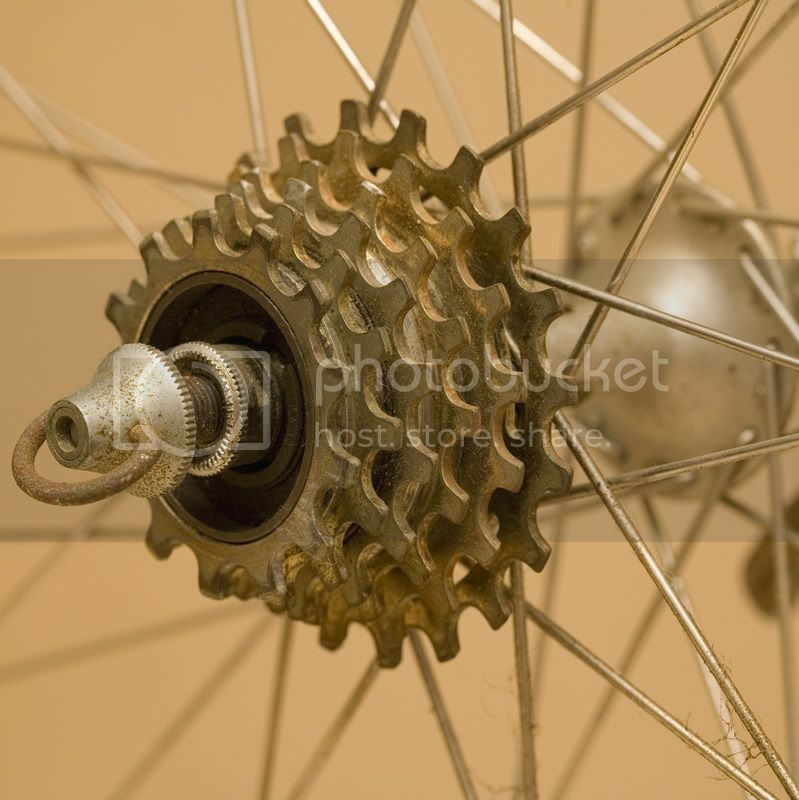 Are those drilled chain rings? 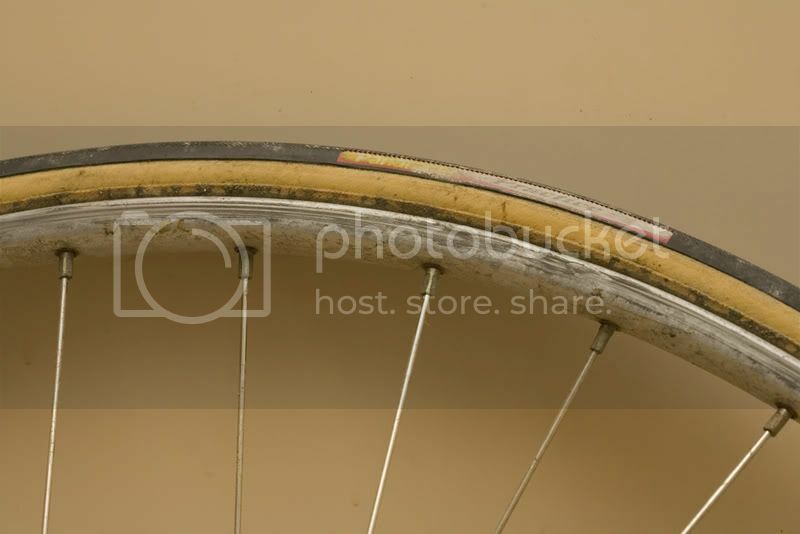 What kind of rims on the tubulars? Tell us what's stamped on the bottom of the bb shell. If it's a Merckx, that's were we'll find out. 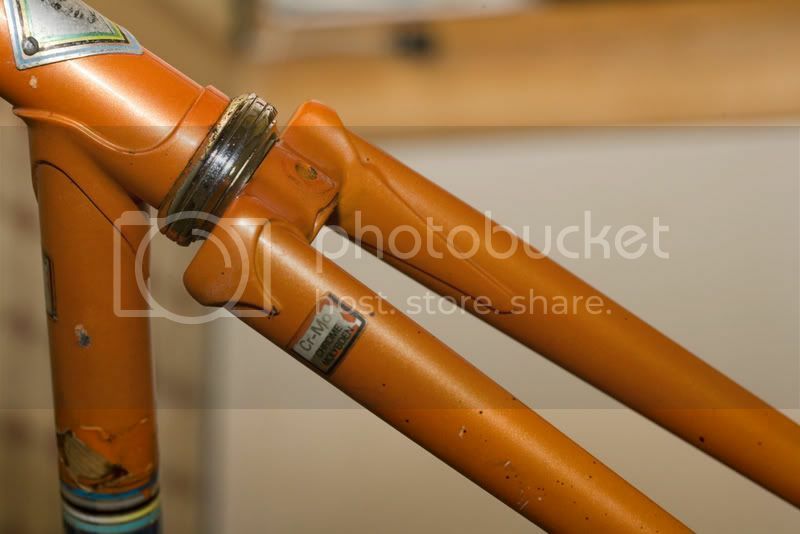 I'm looking at a 1985 Merckx Professional right now, and trying to compare it to your pic. 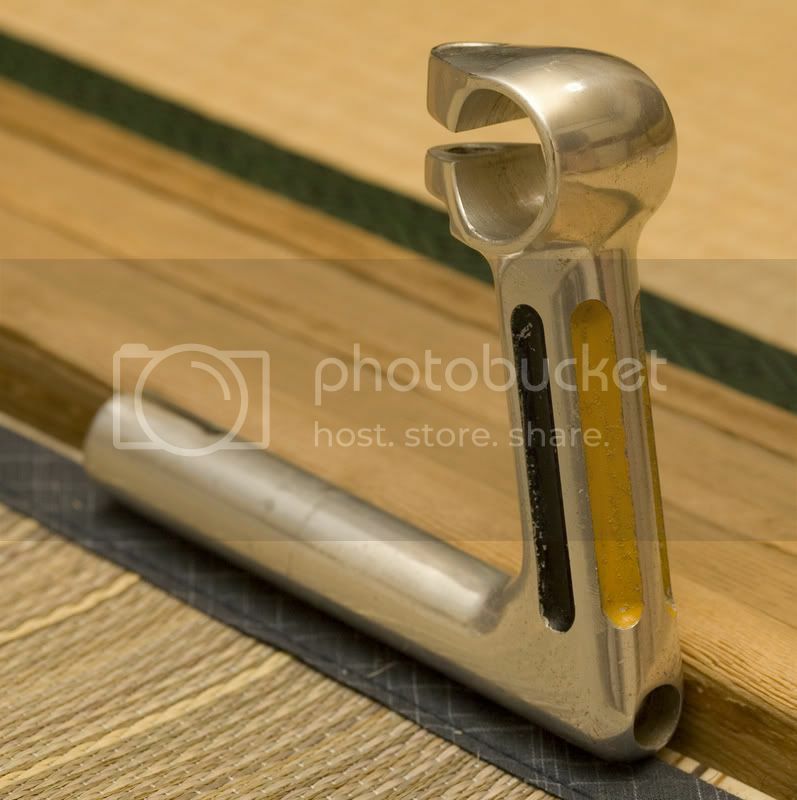 I must say, the lugs look awfully similar. 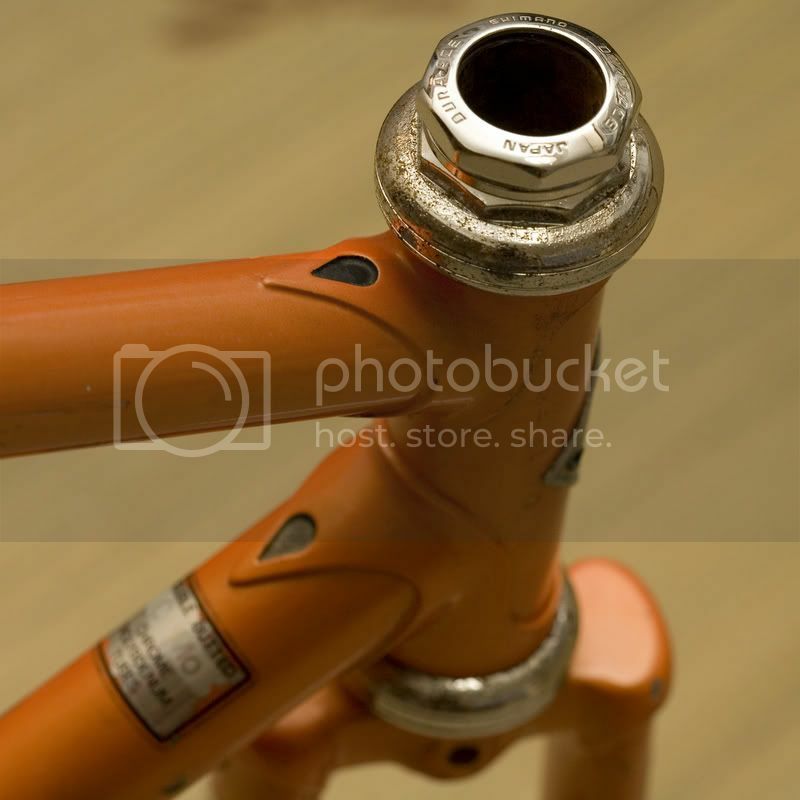 But, the fender/rack mounts on the rear dropouts are "interesting" if it is a Merckx. What does that black decal midway down the set tube say? And the other one, by the shifters? 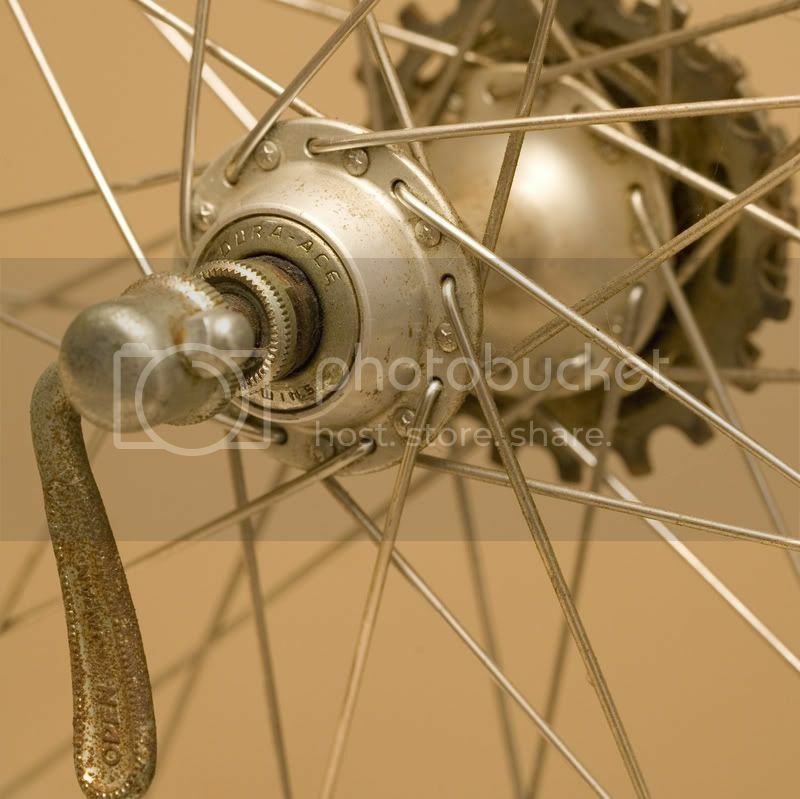 Can you supply closeup, in-focus pics of the seat tube lug w/stay ends, head tube, small decals, and bottom of the BB? Last edited by bigbossman; 06-17-07 at 11:59 AM. Last edited by Antipodes; 06-17-07 at 02:12 PM. 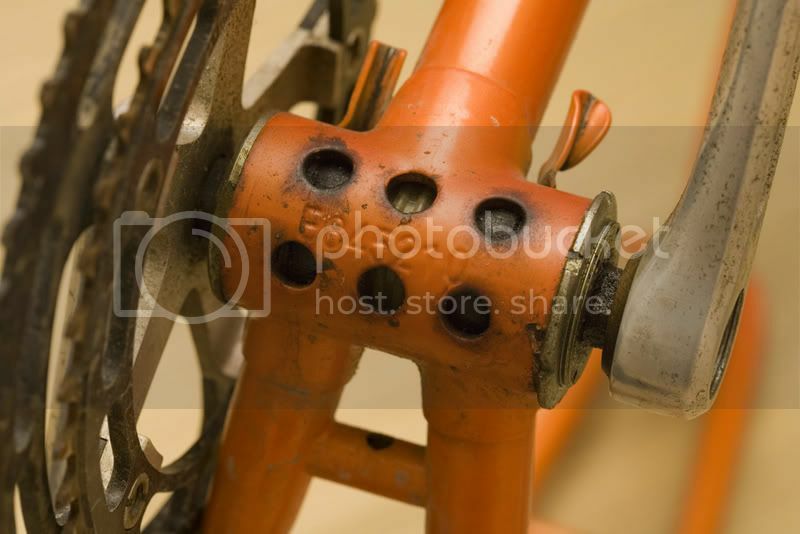 The serial number will identify whether it is a Miyata or not, and identify the year. The 26.7mm post, is odd. All the manufacturers I've seen produce posts in sizes that end in even numbers and are produced in 0.2mm increments. 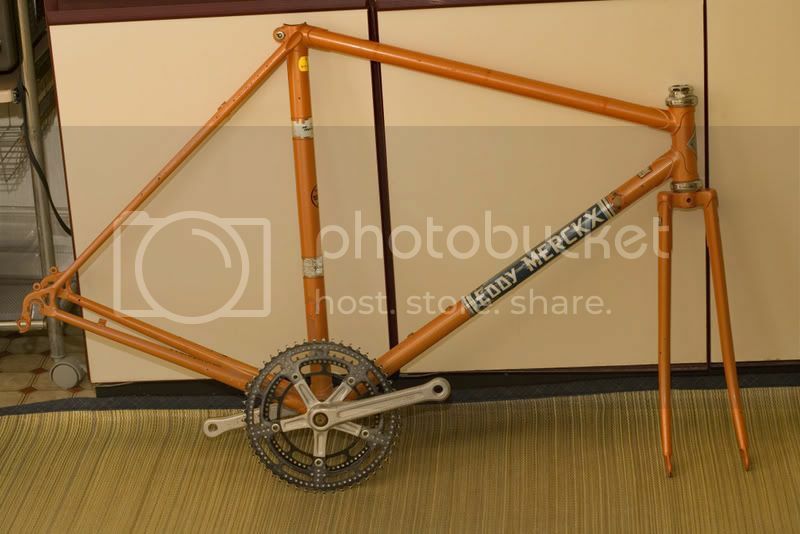 Innerestin'...probably a "fake" Merckx, but seems like a pretty darn nice Miyata, i wish I fished stuff like that from the trash! Vertical dropouts but nearly no braze-ons...seems oldish (like mid '70s) but I don't recall seeing Japanese verticals in that era, only (rare) Campy verts, and it has one set of WB bosses. 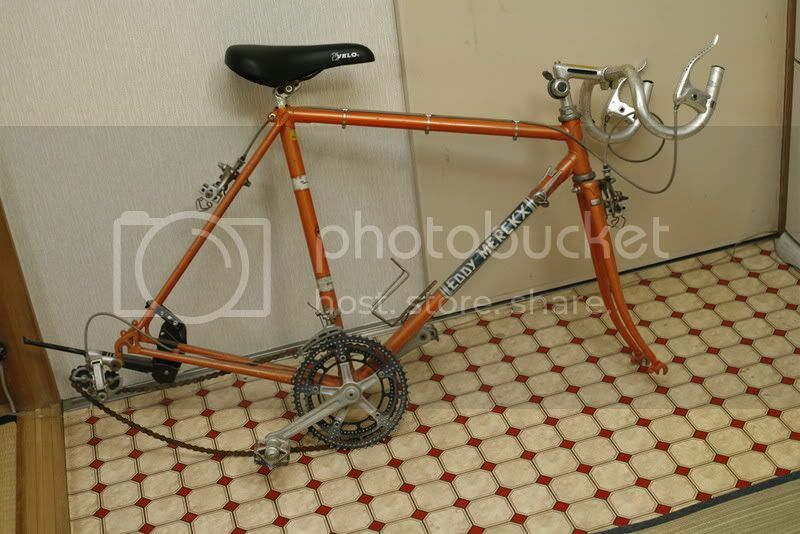 AFAIK the only other "licensed" Merckx bikes were Allegro, Falcon, and a few by his private frame builder (Kessels) before he launched his own opperation, with Ugo DeRosa's help. Last edited by unworthy1; 06-17-07 at 03:34 PM. The similarities in frame and components look very much like this bike. They call me "Mr. Mixte"
I believe Mr. Mixte has nailed it...a "70's Koga-Miyata Pro", too bad yours doesn't have all that early black Dura-Ace, but what it does have looks not so shabby! Sweet. Thanks the for the help. I'll throw up some more pics in the next day or two. I am a bit wondering, is this an action by an individual who swung a set of decals on a Koga or is there maybe more going on? Unfortunately my Japanese is not so good. Page covers both Merckx and Miyata. Last pic showing Mr Numa who shakes hands with Mr Merckx. Mr Numa has worked on the FullPro models for example, the bikes the IJsboerke team raced. Seems the page is dicussing some sort of connection, but I don't have an idea what. What you probably have is a Falcon, which was licensed to make bikes with the Merckx trademark back in the 1980s. They are decent bikes, but not the true Merckx frames produced at their factory in Belgium. 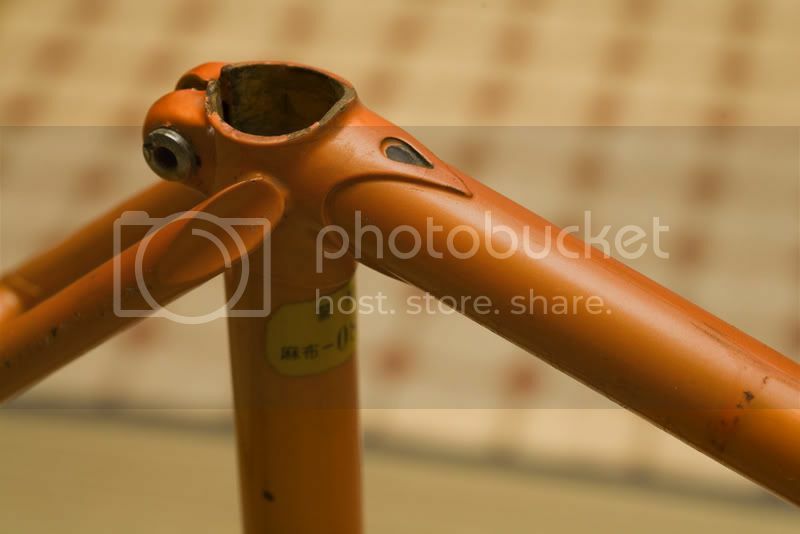 It is also possible that someone just slapped some Merckx decals on a Miyata frame, but there are a lot of orange Falcon frames with Merckx decals floating around. Oh yea, I forgot to mention that the steer tube badge logo is very very unusual, which leads me to believe that it's a little more than a decal slapped on. Nonetheless, I agree that it's not a true Merckx, but a very decent bike for free. More pics after work. Thanks for all the input. 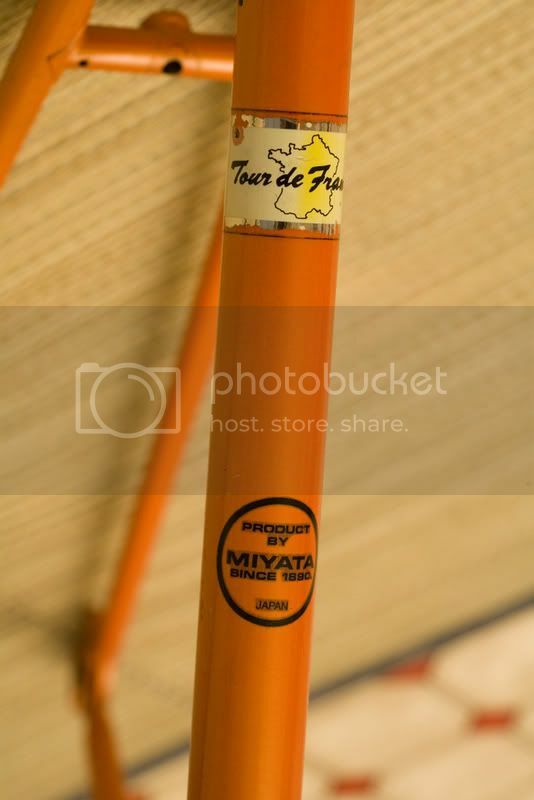 That Miyata Pro is cooler than a Merckx in my book. Wow, that stem/bar combo! That is an excellent bike and should be restored to its true high-end Japanese racing bike glory! Don't throw out those tubulars I bet they are original. 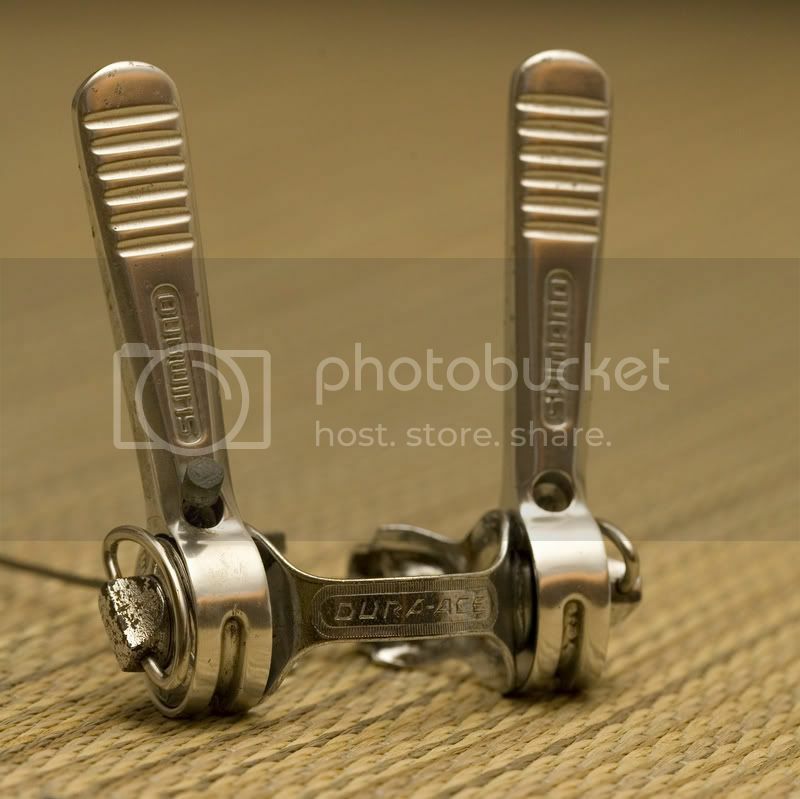 My understanding is that the Shimano Crane rear derailleur was the initial Dura-Ace RD. As promised, pics. Today I cleaned a few minor parts. Everything's polishing pretty nicely, but there's some pitted rust on a few of the chrome plated parts. I just hope the kick stand is salvagable. I don't know how to ID these rims as they're unmarked. What's the best way to clean/restore rims? Wow, that looks like a fantastic frame either way. Drilled chainrings and brake levers, milled stem and dura ace components? Pantographed filed and carved lugs? From the pics, it looks like the smaller decals were masked off and the frame was rattle-canned orange. In any case, a nice catch for nothing!!! Needs a total tear down, cleanup & relube but you have a real gem! An Oxalic acid solution will work wonders on those corroded/rusted parts. Do a search on oxalic acid, there are several threads. 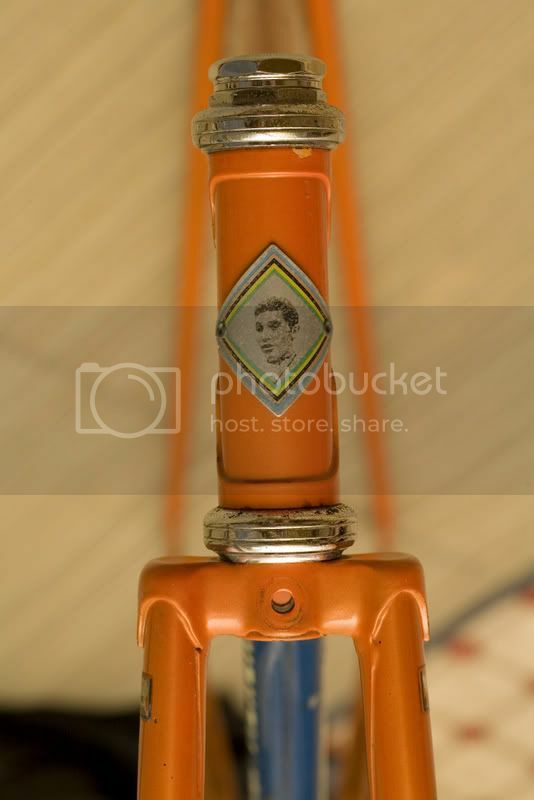 In the 70's, Miyata was one of the licensees of the Merckx name. The above is one of them -- vertical dropouts and all. Neat bike. Beautiful! 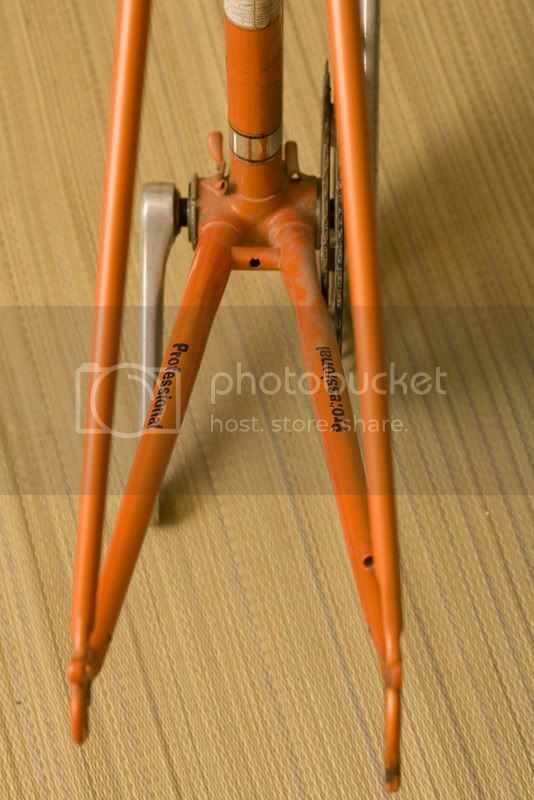 Nice piece of the Merckx history. Wow. So I guess it is a Merckx... kind of. Either way I'm pumped. And, I'm pretty sure it's not rattle canned. holy cromoly, that's a nice looking frame. congrats!